The Community Players of Hobbs is proud to announce the cast of “’Twas The Fight Before Christmas”! The auditions were terrific, and the choices were quite challenging; I encourage all who auditioned to come back for future shows. Thank you all for auditioning! Good afternoon, Playhouse fans, For potential interested directors needing a little more time, the Playhouse board has extended the deadline for the 2017 season to October 17, 2016. Submissions must be turned into Vice-president Leigh Melton by 6:00P.M. on Monday, October 17. He can be reached by phone at 575-318-9311 or by email at leig_h@valornet.com. If you have any questions, please don't hesitate to contact me at 575-318-1327. 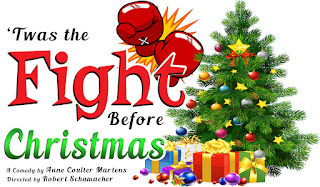 Auditions for “’Twas The Fight Before Christmas” will be held on October 24th and October 25th at 7 PM at the Western Heritage Museum. 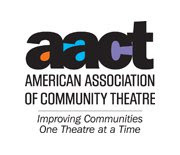 Performance dates are December 15, 16, 17 (8 PM) and 18 (2 PM). The Langfords and the Riders have been friends for years. Even their children are playmates. They completely understand and admire each other -- until Mrs. Rider phones the Langford home and leaves a message with Ranny/Renee, the youngest, who is so engrossed in a video game, (s)he can't be expected to get the message right! (S)He gets both families embroiled in a serious quarrel, and right before Christmas, too! (S)He finally brings to light what actually caused the misunderstanding and tops everything by filling in at the last moment in the church pageant. The role? “Brotherly Love”!